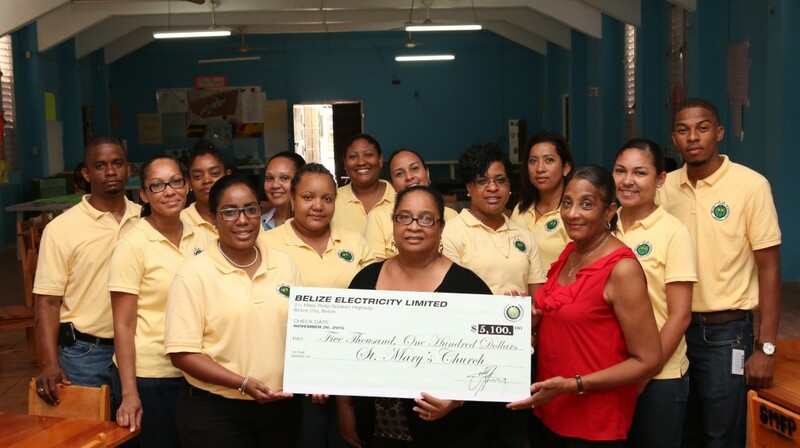 Belize Electricity Limited (BEL) today made a contribution to the St. Mary’s Feeding Program, which has been providing meals to primary school aged children for the past 21 years. 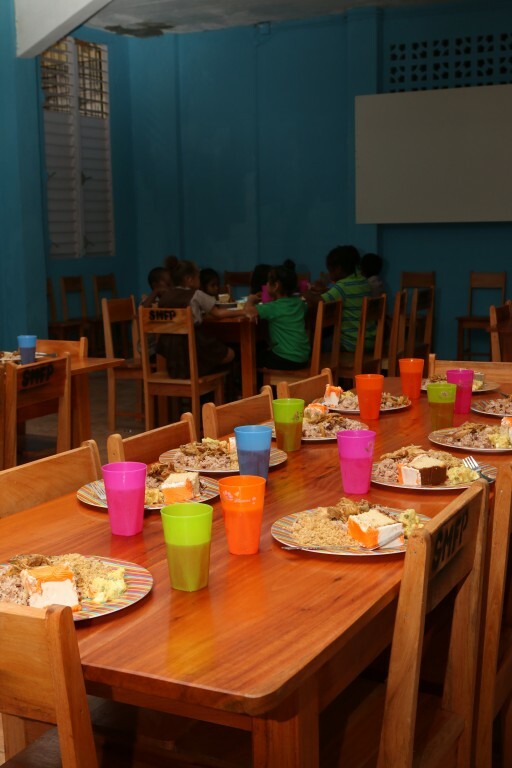 After learning of recent challenges faced by the program, BEL committed its support to ensure that 170 children receive a daily nutritious meal in a comfortable setting. BEL’s contribution includes 10 wooden tables, 100 wooden chairs, a refrigerator, eating utensils and a cash donation of $5,100. A group of BEL staff also assisted today with serving food to children in the feeding program at St. Mary’s Primary School. St. Mary’s Feeding Program provides a total of 850 meals per week and was established following a survey indicating that a major factor contributing to children’s absence from school, was their parents’ inability to afford their meals. BEL and its employees are once again grateful to be afforded the opportunity to give back to the community. Similar efforts continue in December, when the Company will deliver food hampers to deserving families.